It has been more than a week since the finish of this year’s Western States race and I still feel a bit hungover. You might think this means that I ran the race but you would be wrong. Most of my time that day was spent in the press box at the finish line, closely following how the race was unfolding on Ultralive.net and iRunFar. And what a race it was. Once again, I should clarify: By the time we got to the finish line at 6 p.m., it was not a race in the true definition of the word, but a one-man show the likes of which has never before been seen at Western States. Jim Walmsley was tearing up the course with focus and precision. I think it is more than fair to say that as his race unfolded it was not lost on any of us that we were witnessing something that might be a once-in-a-lifetime performance. I felt like I was in exactly the right place at the right time, witness to a performance that would go down in sports history. My life has not exactly been full of these moments. I wasn’t at the Ali-Frazier fight; I didn’t see Secretariat win the Triple Crown. I’ve never even been to a Super Bowl! But, as time went by on Saturday I became more and more certain that this would become one of those moments in life that would take my breath away and make me remember later exactly where I was, who I was with, and how I felt. It seemed a day that would transcend all other days and burn into my memory the feeling of love and deep admiration I have for this great sport of ultrarunning and all who participate in it. I was now watching something unfold that was the run of a lifetime. I was weak with the excitement of it all. As Walmsley ticked off the miles, getting further and further ahead of the course record (at one point more than 30 minutes) I was giddy. Reports from out on the course confirmed that he was not slowing. Earlier in the day I had watched him run up Devil’s Thumb, feet barely touching the ground, and I felt something akin to rapture. My thoughts did stray to the fact that he seemed to be displaying a wild disregard for the distance but I just basked in the joy of the moment and admired his brashness. Now here he was, more than 40 miles later, still flying like he actually had wings. At Brown’s Bar, mile 89.9, he was 17 minutes ahead of course-record pace and an hour ahead of second place. I was already counting the chickens for him. I was teary-eyed just thinking about the moment I would get to watch him fly across the finish line. And then he took a wrong turn. A lot of stuff happened after that but, to cut to the chase, he eventually crossed the finish line some four hours later. The tears I shed for him in those hours are not inconsequential but it is all the tears I have shed since that have shown me the real truth. I cry for myself–that’s right, for me. I wanted to experience that record-crushing run first hand, in person. In less self-critical moments I think that I wanted it for all of us, which is not altogether untrue; I wanted greatness to wash over all of us that day compliments of Jim Walmsley. I do not want to suggest that I experienced no joy on Sunday. I did: my friend Sarah Lavender Smith broke 24 hours after being on the time bubble for that fine time almost the entire way. Erika Lindland once again bucked the odds and worked her way into the top 10 after being much further back in the field early in the race. And Alison Sunshine Chavez knocked off an inspiring, just-under-the-wire performance just two years after having a double mastectomy. And, of course, it’s always a thrill being at the Placer High track when the winners arrive. Andrew Miller clocked an impressive 15:39:36 at just 20 years of age, and had everyone buzzing about how much better he might still get. And one of my favorite people, Kaci Lickteig–the Pixie Ninja!–waltzed in with the fourth-fastest women’s time ever, 17:57:59. But the serious funk caused by Walmsley’s missed turn never totally dissipated. And then, at the very end, my good friend Wally Hesseltine’s just-over-the-time-limit 30:02 finish cemented the feeling. In spite of all the good things that happened at the track two weekends ago–and there were many–I am still in a dark mood. I have had a couple of good meals since and many hours of catch-up sleep but there is still a sadness seeping in around the edges of everything I do. 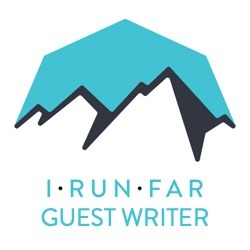 My seeming inability to get over someone else’s blown race is shocking to me especially in light of the fact that Walmsley’s post-race interview on iRunFar shows him to be way more than sanguine about the whole affair than I am! Maybe that’s because he feels that he has the power to make sports history whenever he chooses, while I have to rely on the vagaries of luck to put me in the right place at the right time. Even he recognized that something special was going on as he ran, as he said, “I had just never felt so invincible before. Everything was clicking. It was truly magical.” But of the two of us, maybe I am the only one experienced enough to know how rare it is to have everything work perfectly in a 100 miler. All things considered, I just can’t shake the feeling that the stars aligned perfectly with his will and ability that particular day and offered up magic. I can only hope I am wrong about this. I will be right back in that finish-line press box next year hoping for what I didn’t get this year: a front-row seat at history being made. What were you thinking and feeling as you followed Jim Walmsley’s attempt at Western States? Did you experience similar highs and lows as Lisa over the course of his day? I feel the same way. I don’t think it was intended to be this way, but Jims race has sort of overshadowed the actual winner “what could have been” because it could’ve been special, as well as some of the circumstances surrounding the outcome. No disrespect to Andrew Miller, but he just kept truckin, made no mistakes and then earned it, but it just wasn’t as flashy. Oh, sort of nit picking here, but hasn’t Sarah Lavender Smith finished a 100 before? Something called the Rio Del Lago? (Something like that). Either way good effort for her too. I also have those sick feeling of having watched greatness just to have the TV or Internet signal go out right before the winning play. I beleive that if the prize money is $5,000 or $10,000 then a fast runner will come out to study the course. Otherwise, it feels like a backyard football game with bragging rights, ok maybe not completely but still. $10,000 is nothing compared to the many hours that Jim and others spend to run 1,500 mile From January to June in preparation. They are doing 30 hours weeks. For those that didn’t see this video below, it gives good insight. I think Jim was too fast. Jim was too good. I’m sure he went out there knowing he could maintain his pace for 110 or 120 miles. It was great that Jim deliberately let all the top 20 Runners get their desired place on the podium, which I’m guessing he thought up in his non-exhausted brain. Kudos needed, still, Congrats to all the hard working volunteers, you guys make these events. We know that you get much out of seeing runners come through but we get more out of having the 16 or 24 ounces of water that we didn’t have to pack-in. And the encouraging words are what keep us going at 3am whether you know it or not. Presumably the endorsements and bonuses from sponsors obviate the need for actual prize money. Anyway got any idea how much Miller/Lickteig would have pocketed for their wins? A win a Western States is worth more than just any possible money/sponsor bonuses – it’s worth a possible change in lifestyle (as can be the perks of sponsorship….a dream come true!). I think a lot of people have this misconception that there is “no money in ultras” or “very little compared to the roads.” I will tell you this: I got $0 when I was running 2:16 the marathon…I got $0 for 16th place at Boston last year (and had I been 15th place it would have been $1500…that usually takes a 2:15 type of performance). For a 2:15-2:20 road marathoner trail-ultras can be more lucrative in terms of looking at prize money and competitive depth. There’s $10,000 for a win at TNF50 SF – $12,000 for Run Rabbit- and there’s $5000 up for a win and bonus at Speedgoat (very nice)…but an ultra like Comrades it’s about $30,000 for the win. I don’t know about you guys, but to me that is A LOT of money! But that inner drive to reach one’s potential and the inner drive to find flow in a high level competition?…we’ll that’s going always be the big intrinsic motivator that really makes a top level runner tick (and that’s why I want to come back to Western States and UTMB and all the “big dances”…because that golden opportunity [an opportunity I never take for granted]…that experience can become part of a lifestyle/experience that is essentially priceless). That all makes sense, I can believe some of this. Thanks for chiming in. My best, for your next efforts. It’s always great to see you compete via the internet. Sage, I follow you on your VO2 Max YouTube channel and have a keen interest in your ultra career. I had a $20 bet with a friend of mine that you’d podium at WS especially since running into unfortunate injury at UTMB. The commentary after your win at TNF California, and your YouTube channel allows a keen insight to the elite level of runner that does it because he wants to. You’re right about the sponsorships and I know that is a good motivator and hope that you get whatever you need to motivate you to take a second run at UTMB and hopefully allow me to get my $20 back at WS next year. Good luck to you Sage and never forget to remind yourself of the gifts you’ve been given. God bless. Hey thanks so much for your support, Jesse! Sorry to hear about the $20. I can’t wait to keep trying at these kinds of races and training to improve ( hopefully with experience and age). I’ve been very fortunate and I don’t take a single day for granted. The running community has been very generous and I’m a very lucky guy. Thanks again for following along and best of luck with your running too! Lisa, thank you for writing this. I love and admire how much you care about this race — how much you care about others. To the comment by Camas above — yes, this was my first Western States but not my first 100 (I’ve done Rio, a 24hr, and Wasatch). Thanks for the shout-out! Congrats on a fantastic race, Sarah! I updated the text, thanks Sarah and Camas! To recap, Jim missing the turn wasn’t his first hurdle of the day. As a spectator like you, I felt like that may have been the case. He still had his time on the record and 2nd place like you mention. But in fact his run – all parts considered – wasn’t magic. His determination, really demand, to do what he came to do was where the magic really was. For starters, Jims’ plan A was thrown out the window when other competitors lollygagged up the escarpment, choosing instead to go plan B and run by splits. Being the front runner his information on how the race was unfolding behind him was delayed, leading him to believe his competitors were closer than they were. His pacer got GI issues not long after being picked up and then dropped. He only got ice in his handkerchief once. And then there was the river, where the real issue there came down to him loosing a bottle on a very hot part of the course. I feel, like you, that Jims’ run was a run for the ages, but it was far from perfect. He battled like a madman and I believe he can recreate that and then some as long as he stays healthy and passionate about pursuing the result, which I have no reason to doubt. I imagine he’ll go into his next event even stronger, maybe not physically but almost certainly mentally – particularly in the strategic lead up to the event. Make sure those pacers are as strict on their diet before the event as you are Jim! What I don’t get is why is the Western States course so badly marked. This is not an orienteering race. WS thinks of themselves as the most prestigious 100 miler in the US but they aren’t if you need local knowledge to get along the course. Maybe it’s time to ramp up the signage for next year. I agree. Several people have mentioned this being an easy turn to miss. Why is there an easy turn to miss at western states? Especially this late in the race. Yet I’m not aware of anyone else missing it. Part of trail running is watching for markers and navigating the course. I had the same question. I totally get that it is easy (especially late in a race) to miss a turn or go off course, I’ve done it. What I have also done is mark courses for races and anywhere, absolutely anywhere, in the course that might be confusing you mark like crazy and if possible you put a human there to help guide. Is this not the case at Western States? I just don’t see how a race of such prestige can not plan for this. I think the course was very well marked — confidence ribbons about every quarter mile, lots of ribbons at every turn, and other indicators when the major trail (like a fire road) turned off onto a single track to help prevent you to from continuing on the major trail. I had the opportunity to watch the 2016 Western States 100 online through out the day from Colorado. When it was posted that Jim Walmsley had not checked in at HWY 49 and then it was reported that he missed the left hand turn from Quarry Road – I immediately knew where he had missed the trail. Through the years at Western States – the course is always well marked and maintained. The intersection that Walmsley missed has been missed before – by the elite and by the sub 30 hour finishers. Trail running will always require that our senses are in sync with the event. And that is the challenge that we all accept as participants. As for Jim – he ran an amazing race and he finished – when he could have easily could have claimed ” I got lost “. Congratulations to Andrew Miller – I can only imagine how he felt when he rolled in HWY 49 and was told that he was the leader. And to the Pixie Ninja and all the finishers of the Western States 100 – Congratulations !